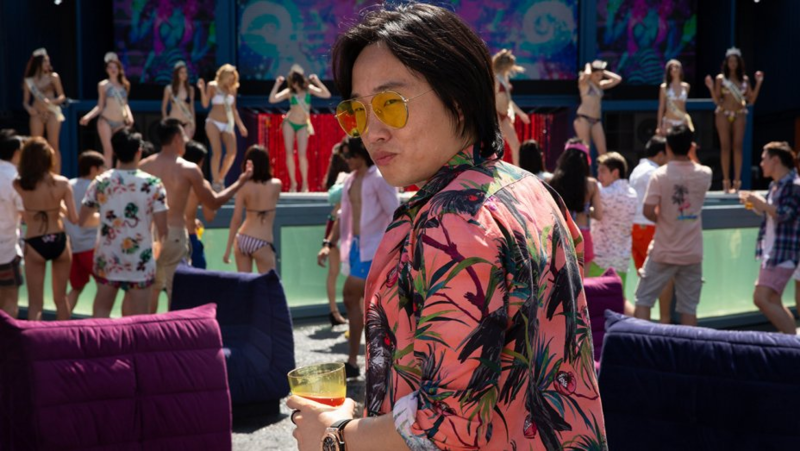 It’s been a year to remember for us Singaporeans, what with the whole Donald Trump fiasco and now the debut of Crazy Rich Asians. We’re not complaining, instead, we’re lapping up all the media attention that’s been given to the tiny red dot that we call home. 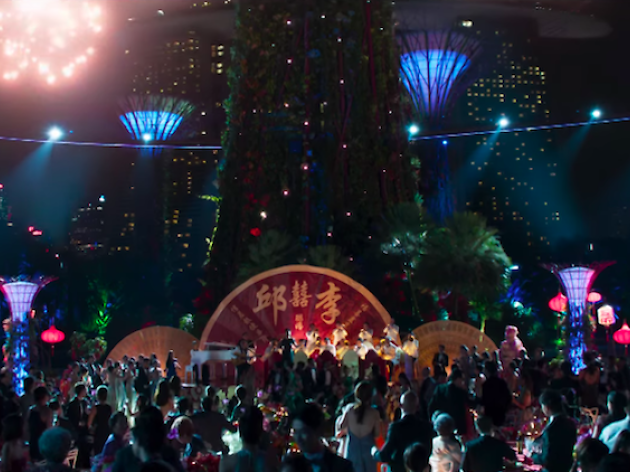 But how accurate is Crazy Rich Asians’ depiction of Singapore? 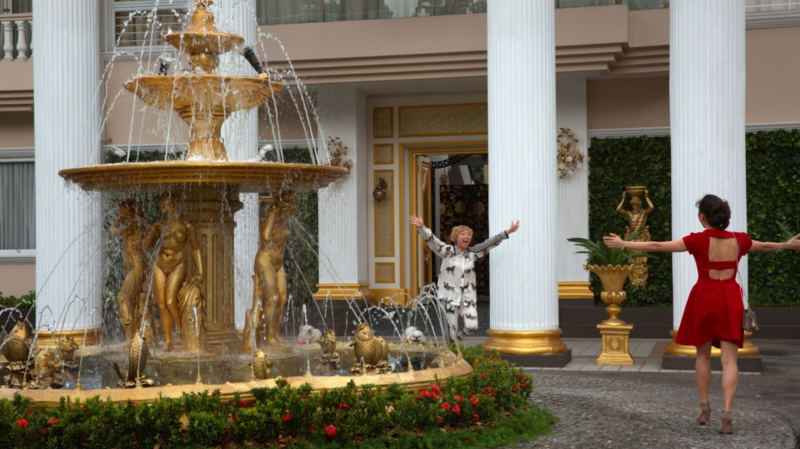 FALSE: Nick’s grandma’s estate isn’t even in Singapore. 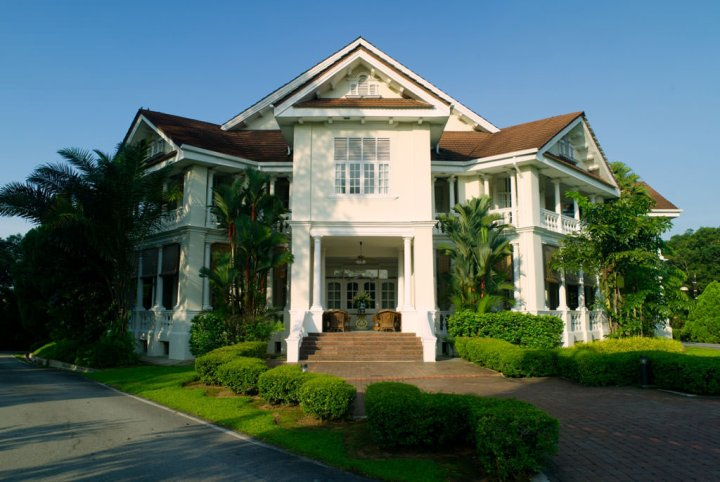 It’s not all surprising that an estate like Tyersall Park will cost more than $200m, but of course, such mansions don’t even exist in land-scarce Singapore. Author Kevin Kwan admitted that he was inspired by long-abandoned Istana Woodneuk, but for actual filming purposes, they used former luxury hotel Carcosa Seri Negara in Kuala Lumpur which dates back to the 1890s. TRUE: Yep, there’s a butterfly garden in T3. 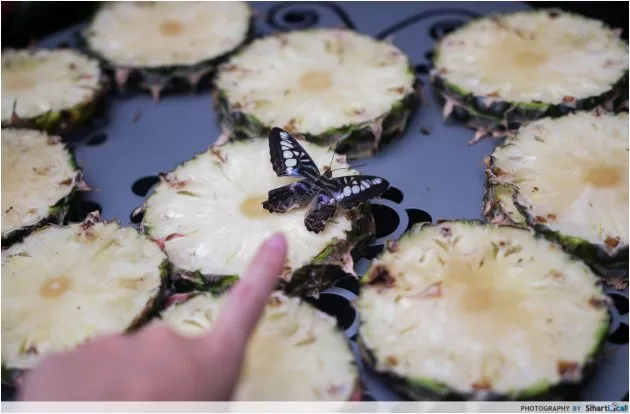 True enough, there’s a butterfly garden for you to whittle your time away next time you’re in transit. See what else there is to do at Changi Airport here, including visiting a rooftop Sunflower garden to resting at Snooze Lounges. TRUE: It’s a sign of respect. It might sound strange but every person who’s approximately 20 years older becomes our uncle and auntie. Whether you’re in a cab, hawker centre, or family gathering - treat them with the respect they deserve. But if they’re just slightly older, please don’t: you’ll just offend these strangers into thinking they look old. Here are some typical auntie/uncle behaviours for you to check out. FALSE: We play mahjong at home, our friends’ homes, and almost everywhere but mahjong parlours in the middle of Chinatown. What’s Chinese New Year without a game of mahjong? But the key takeaway from this is that while we Singaporeans enjoy our mahjong, it’s not normal for us to stride up to a random mahjong parlour to start playing with complete strangers who are partially deaf and can only speak Hokkien. Check out our article on unique mahjong tile sets here. FALSE: Guards don’t wear colonial uniforms. 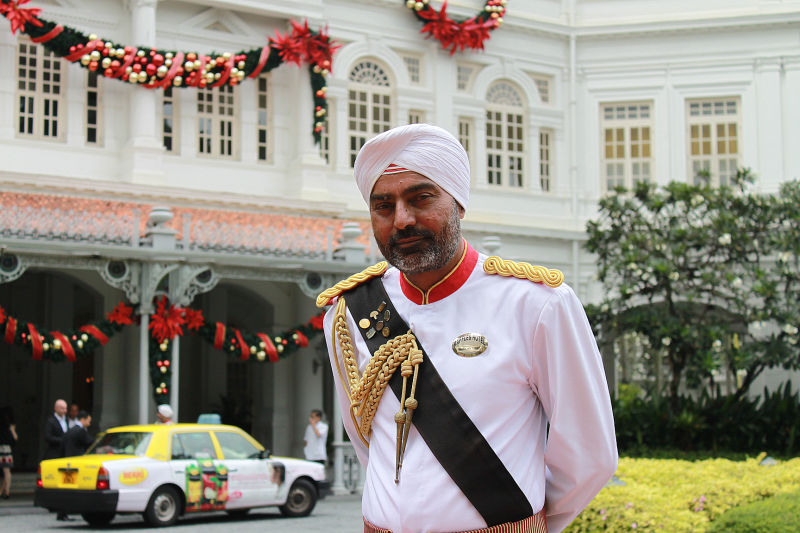 Unlike the turbaned Sikh doormen of Raffles Hotel, private guards aren’t normally required to dress up in colonial-style uniforms. Unless you’ve hired a Gurkha, in which case, you can expect a guard fully armed with shotgun and all. 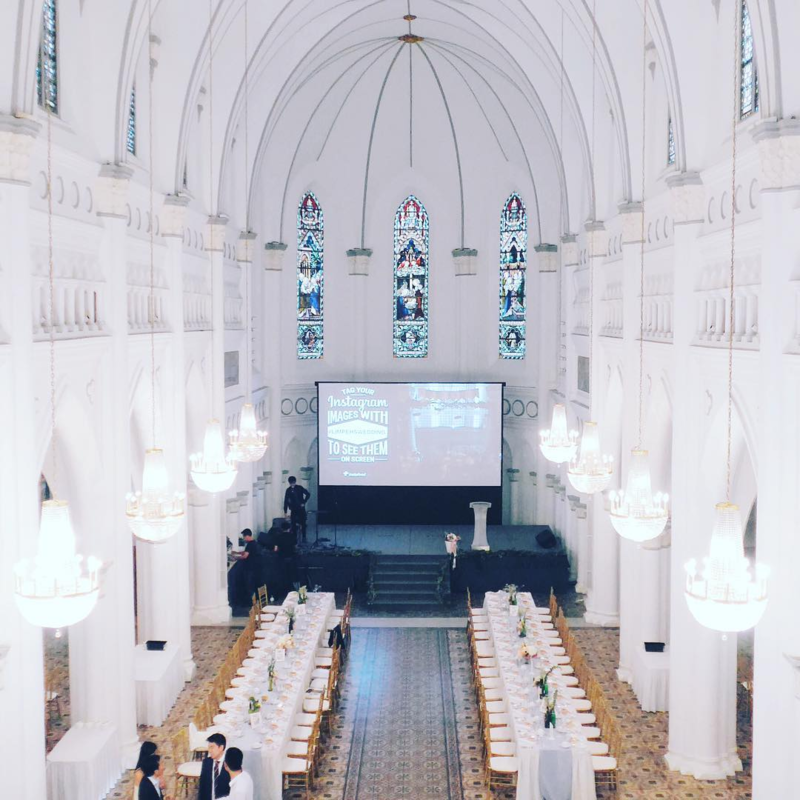 TRUE: CHIJMES is open for wedding ceremonies but…not with trickling water and lush greenery. Wew, CHIJMES was certainly transformed. It was always a stunning chapel but the movie made it all the more magical with waving green fronds and a glistening stream running down the aisle. But what’s up with the red lanterns and Chinese songs? For all you non-Singaporeans out there - we’re not actually part of China. What a typical CHIJMES wedding set-up looks like. 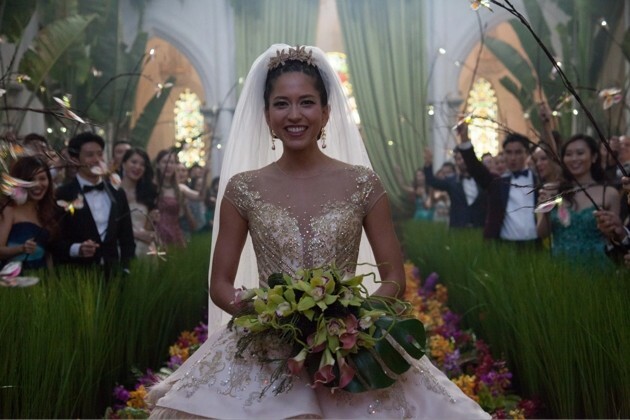 The wedding reportedly cost $40 million in the storyline, but in reality, the movie budget was nowhere near - everything was amped up for glitzy effect. 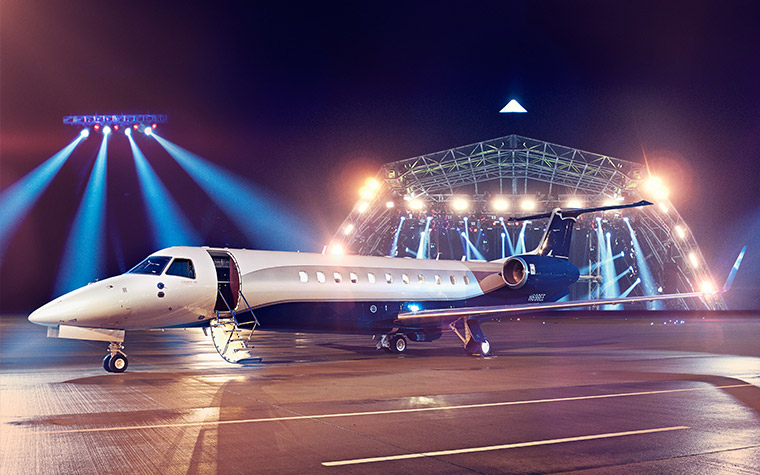 FlyVictor - an on-demand private jet charter you can book through an app. TRUE: There’s just one private airport for you to land your private jet. Of all that’s on our dream wishlist, a private airport doesn’t even cross our minds. But to all you privileged private jet owners out there, you can now safely land and take off at JetQuay CIP Terminal. 8. Do rich people eat street food at hawker centres? TRUE: Most people in Singapore, rich or poor, love our hawker food. 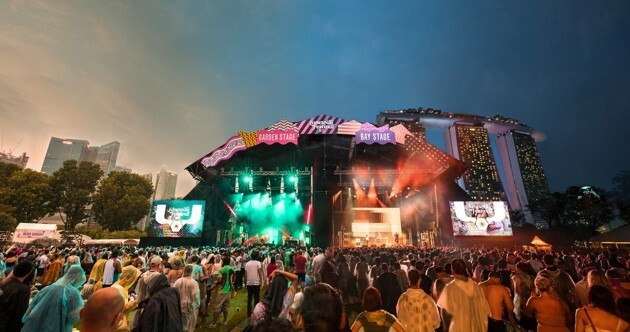 Your Visit Singapore guidebook might tell you that Newton Food Circus has got the best hawker fare, but...it’s kind of known to be a tourist hotspot. The hoards of tour buses that drive up certainly aren’t proving us wrong. Check out this article to find other hawker centres that serve up our favourite local dishes like laksa, char kway teow, and chicken rice. FALSE: Well, our top 50 songs show otherwise. 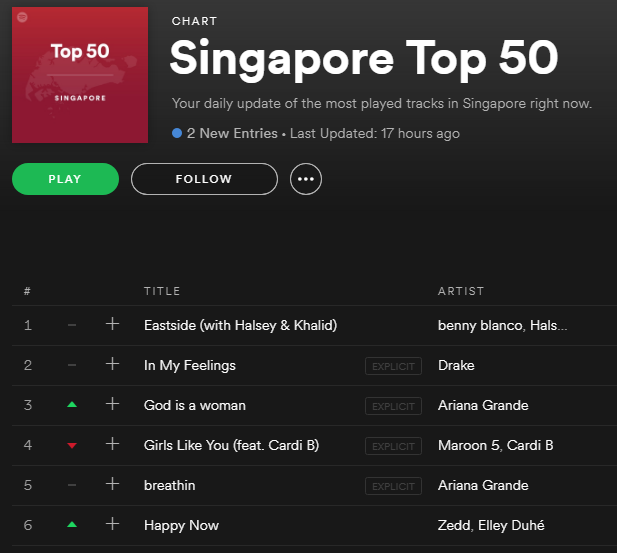 As much as we appreciate the catchy tunes of China’s hip-hop queen Vava and a Chinese version of Coldplay’s “Yellow” - not a derogatory term, guys, we’re claiming it back - not everything we listen to in Singapore is in Mandarin. We’re more than familiar with artists like Maroon 5 and Ariana Grande too. FALSE: We like dumplings but that doesn’t mean all of us can make dumplings. 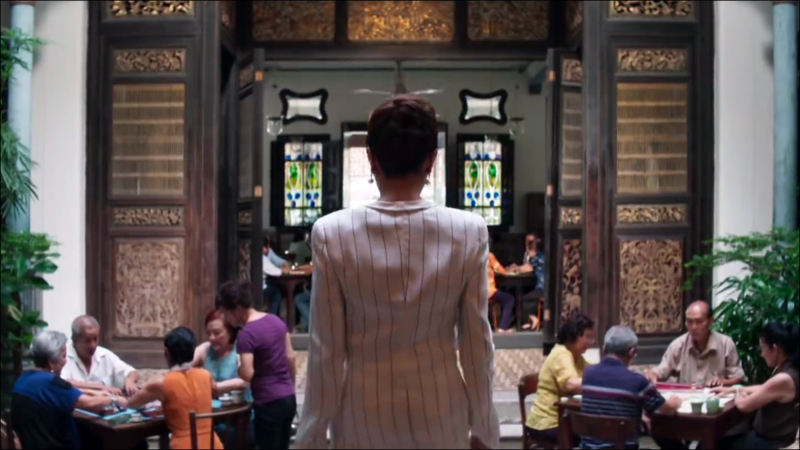 That scene when everyone was seated and making their own intricately-folded dumplings doesn't happen in most Singaporean families. While it may be a great bonding activity for some traditional families, most of us satisfy our dumpling cravings the easy way by hauling our asses to the nearest Din Tai Fung or Crystal Jade. FALSE: In this hot weather, are you kidding? There’s no way any sane Singaporean will be travelling down the expressway with no shelter because in our blazing hot climate, we might burn up to a crisp during a peak hour traffic jam. We’ll stick to our convertibles, thank you very much. TRUE: Synchronised swimmers have performed at Marina Bay Sands. We were so ready to dismiss this, but it’s true! There is indeed a Singapore synchronised swimming team that’s performed at Marina Bay Sands’ famed infinity pool. But this rarely happens and when you’re visiting, you'll more likely be compelled by the skyline views rather than synchronised swimming. 13. Singaporeans have a Western-influenced accent. FALSE: We sound nothing like that. It’s a rare day when you’re walking down the streets of Singapore, and people are chit chatting away in their posh British accents. 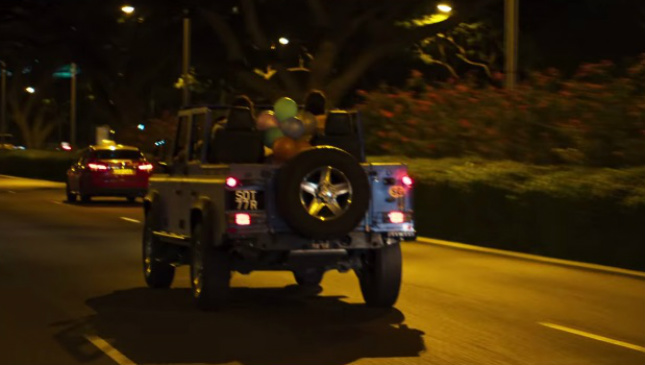 We can assume that Astrid, Nick, and other rich kids studied in some far-flung British boarding school but us regular Singaporeans sound nothing like that. Instead, expect a steady supply of lahs and lors. Hint: throwing in a random lah at the end of the sentence doesn’t make it Singlish. TRUE: To a certain extent, but nothing like Colin and Araminta’s wedding. You can most certainly book out the entire Gardens by the Bay - The Meadow’s a space that holds up to 30,000 people. But let’s just say that this space is normally reserved for concerts and festivals, not wedding receptions. Gardens by the Bay - a venue normally used for huge concerts and festivals. All that garish gold means new money. In the olden days, if you had any money whatsoever, you’d buy plenty of land and develop it into something new and shiny. That’s exactly what happened with Far East Organiation’s Ng Teng Fong, whose family now owns plenty of Orchard Road. And back in 1991, we already know that Eleanor and her husband bought an entire British hotel on a whim. FALSE: Nick was obviously showing off. We all have a second language, and some multilingual folks can speak more, but we all order in whatever language we’re comfortable with. Even if the hawker centre uncle (see point 3) speaks mainly in Chinese, he’s bound to understand English too. 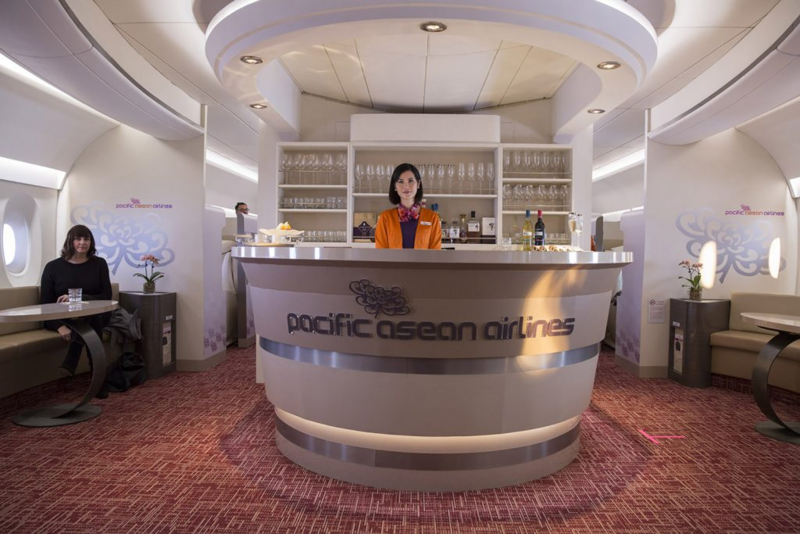 FALSE: Pacific Asean Airlines isn’t even real. For those who’re saving up for a first class ticket after marvelling at the grandeur of it all, heads up: the production designer himself admitted that “no one has first class like that”. 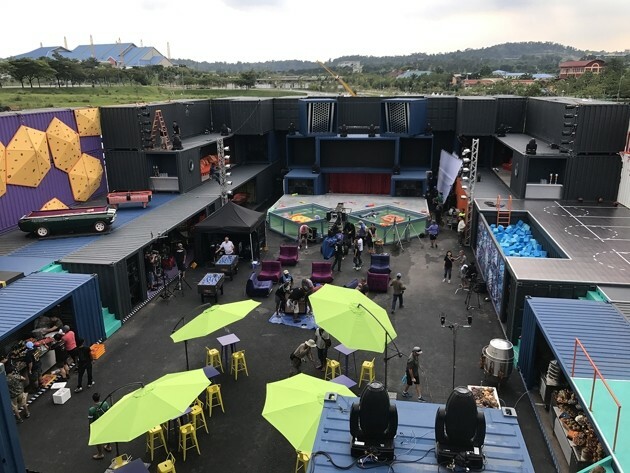 FALSE: No container parties in Singapore, but plenty of parking lots. Hot tubs, DJ booth, and rock-climbing walls - where else would you find all this but a party held on a container ship? Sadly, not to burst your bubbles, but the entire fiesta was set up in an empty parking lot. Nonetheless, if you’re looking to party it up in a container, we still have our fair share of container bistros and pop-up markets held in cargo containers. FALSE: Singapore has one of the strictest gun laws in the world. During the bachelor party aka shipping container party, one party goer nonchalantly fired a bazooka into the night sky. It failed miserably, of course, sinking pitifully into the ocean, but that raises the question of Singapore’s gun laws. And for those out there wondering about the legalities of this, we most certainly don’t allow guns, bazookas, and the like. The Arms Offences Act states that “any person who uses or attempts to use any arm shall be guilty of an offense and shall on conviction be punished with death". Yes, you read that right. Punished with death. 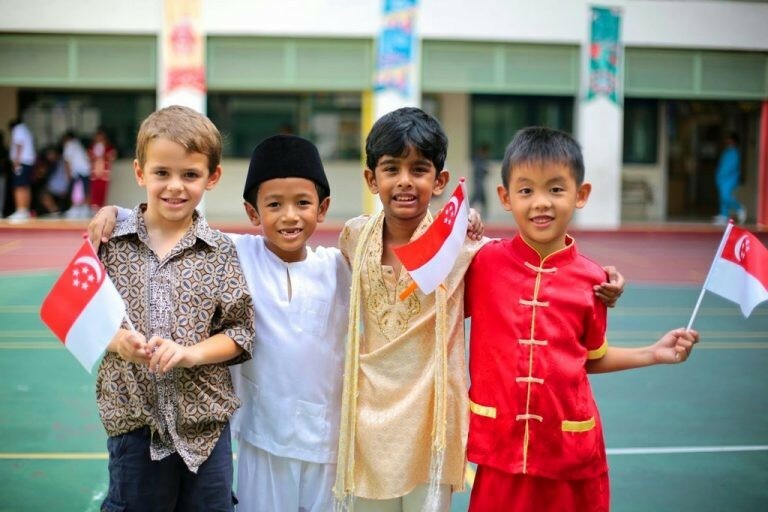 FALSE: Singapore is a multi-racial country with Chinese (76.2%), Malays (15%) and Indians (7.4%) making up the majority of the population. While the movie makes no claim that they’re representing Singapore’s demographic accurately, it’s important for those who have never been to Singapore to note our country is a lot more diverse than the movie portrays. The vast majority of the population in Singapore speaks and understands English just fine. And we’re not located in China. Eh, they got some things right but most of the luxuries shown in Crazy Rich Asians aren’t even halfway true. Firing a bazooka from a container ship is likely to get you some jail time and our accents aren’t even anywhere close to the British crispness of Nick and Astrid’s. Most people aren’t living up the Crazy Rich Asian life in our humble lil’ city, but hey, we’ve certainly got our fair share of everyday luxuries.